The years between the world wars represent an era of broken balances: the retreat of the United States from global geopolitics, the weakening of Great Britain and France, Russian isolation following the 1917 Bolshevik Revolution, the resurgence of German power in Europe, and the rise of Japan in East Asia. All these factors complicated great-power politics. 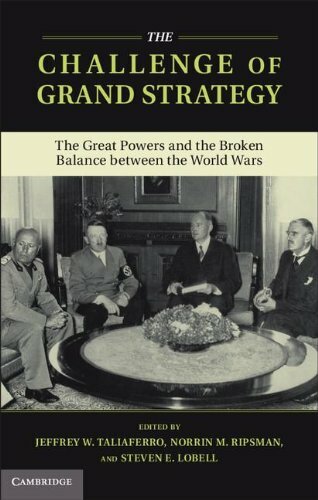 This book brings together historians and political scientists to revisit the conventional wisdom on the grand strategies pursued between the world wars, drawing on theoretical innovations and new primary sources. The contributors suggest that all the great powers pursued policies that, while in retrospect sub-optimal, represented conscious, rational attempts to secure their national interests under conditions of extreme uncertainty and intense domestic and international political, economic, and strategic constraints.